The property, which has just come to the market, is in very good condition and is ready to walk into. It is situated in a very quiet cul-de-sac in the much sought after area of Renmore. 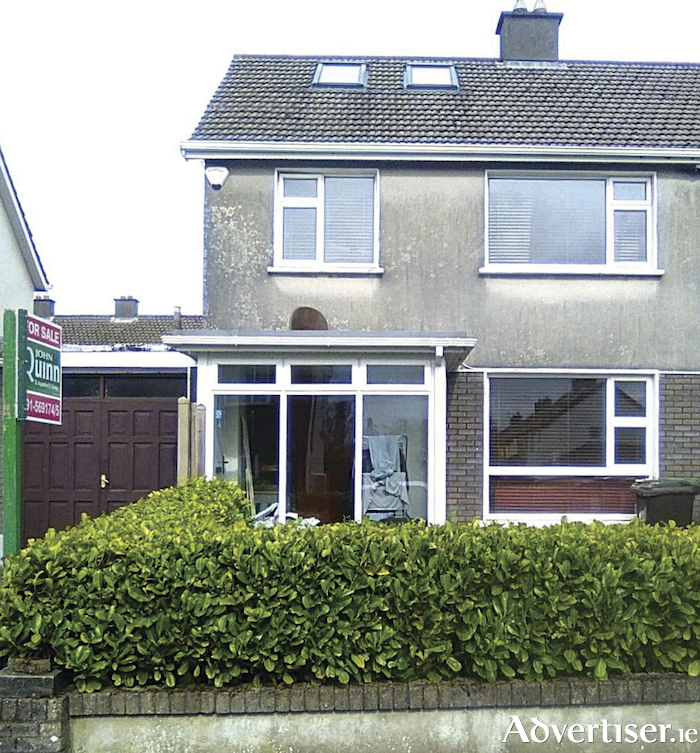 The property is within walking distance of local schools, church, shops, Ballyloughane Beach, swimming pool, hospitals, and GMIT, and just a short drive to the city centre. The property has been extremely well maintained and has lots of superb features including dual central heating, lovely patio doors off the dining area to the garden, excellent private rear garden, and superb fully fitted kitchen. The property is double glazed and has an attic stairs fitted. According to John Quinn this is a must-see home in a wonderful location and viewing is highly recommended.